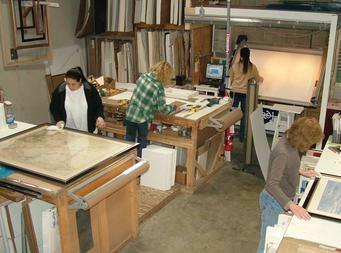 FELTON STREET STUDIOS is a full service custom frame shop located in Waltham Massachusetts since 1989. 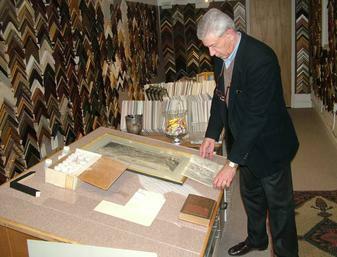 Artist Bob Fitzgerald opened his shop in a large warehouse to cater to his fellow artists who required a less expensive option for their framing needs. He traded the expense of a retail location for a larger space, certain that word of mouth would grow the business. It worked. Now 90 percent of Felton Street's clients are artists, art consultants , interior decorators, museums, and many area universities. But Felton Street opens its doors to you. 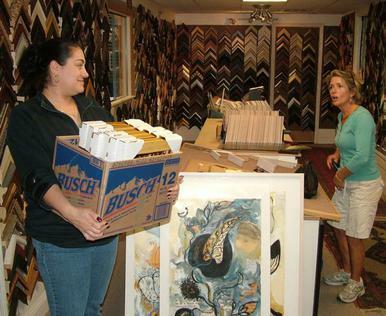 Come in to find out what all these professionals know: Felton Street Studios is the only option for museum quality framing at surprisingly fair prices.